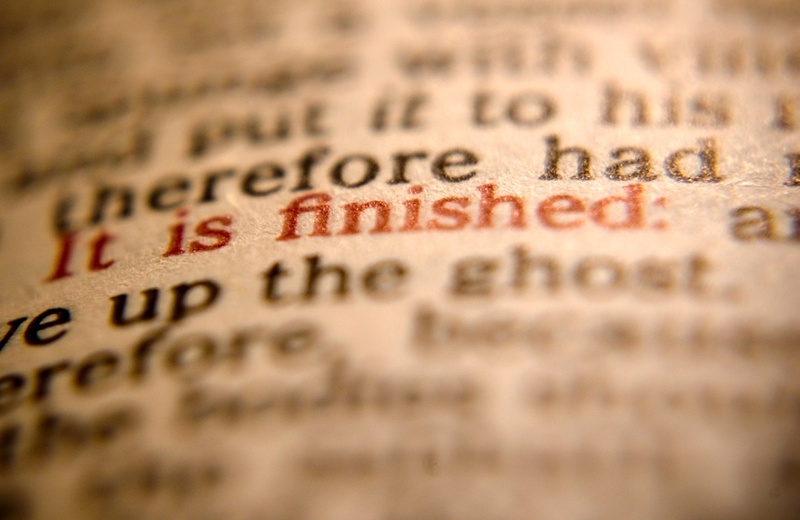 When Jesus declared on the cross “It is Finished” (Jn 19:30) what did he mean? Those who look at Jesus with the eye of reason see the cross as final only in his lifetime. But those who look at Jesus with the eye of revelation see the cross as a finished work both in this life and the life to come. What some of us lack is a deep understanding of Christ’s finished work on the cross. It is finished means we’re not saved by our performance. The world constantly tempts us to locate our ID in something and smaller than Jesus Christ. Apart from Christ, we base our identity on our performance, on our strengths and weaknesses and on our successes and failures. The Gospel liberates us from ourselves and connects us to Christ’s finished work on the cross. It’s not Christianity AND your works or your degree or your bank account or your trophies or your reputation. It’s just Christ and Christ alone. The Gospel frees us from the pressure to perform for our salvation and significance. Who you really are has nothing to do with you but in what Christ has finished on the cross. Our identity is not even established in our fallenness but in Christ substituting himself in our place. When your identity is rooted in Christ, you are no longer bound by the transient things of this world but are set free to spend yourself on giving rather than taking and on serving rather than being self-serving. ← Choose to become a Great Leader! was being fulfilled right before there eyes. They was so blind, that they said is he calling Elijah? Then you have people, pastor and evangelist who would say that God can not look at sin so he turned away from him. How can God turn his back on himself. John 1:1 In the beginning was the word and the work was with God and the word was God. Verse 14 stated that the word became flesh and dwelled among us. Matt 1:23 A virgin shell conceive and shell bare a child and he shell be called Emmanuel. Being interpreted is God with Us.